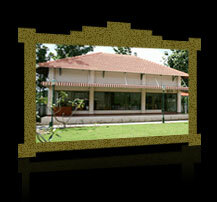 WELCOME - PGP Hotel Riverside Resort And Spa at Kumbakonam. Kumbakonam known for its temples, intricately carved panchaloha idols, exquisite brass wares, silk and betel leaves. The Mahamaham festival held near the Mahamaham tank is celebrated with much enthusiasm make it an important pilgrimage centre known as temple town. Rich with history, culture, fantastic people and greenery around, Kumbakonam is a best town to visit any time round the year. Kumbakonam, a perfect hub to explore the UNESCO World Heritage Site, Brihadishwara Temple (Tanjore), Airateswara Temple (Darasuram) and Gangaikondacholapuram. Hotel - Hotel Riverside Resort & Spa, a right choice for the people searching for the peaceful and relaxing holiday. The location of the resort in the town is perfect, surrounded with ancient temples that are rich in heritage. Tourist visiting this resort will find an atmosphere which is suitable for complete relaxation and rejuvenation. At Riverside Resort & Spa, with our experience, we anticipate your requirements and proactively meet them. Discover the ultimate in magnificence at our accommodations. You'll melt into your room, which is decorated and adorned with rich colors and vibrant artwork and spoil yourself with everything a traveler should expect from a first-class luxury hotel. Children under 5years of age, sharing the same room with parents without rollaway bed requirement, are free of charge. Additional charge for extra bed / mattress for a third person at 500INR per night. Check-in-Time : 24 Hours / Check-out Time : 24 Hours. All reserved rooms will be held until 18:00 hours subject to availability unless one-night deposit or credit card guarantee received. Above rates are subject to 12.5% luxury tax on the published tariff. Group / Individual temple tours can be arranged on request. Charges applicable. Discount tariff offered for rooms on request. "Mayuri", a variety of non-vegetarian recipes for the discerning food lovers. The decoration is rich and romantic, and each dish prepared conforms to the highest level of quality. Find more new items every weekend on display that are not part of our regular menu. "We present new trends that are colorful. Vegetarian dishes are made in their original form. The "thali" lunch served-in, makes you experience the essence of south-Indian cooking. We enjoy the pleasure in presenting home-style food in a friendly environment. Varied menu makes "Cauvery" a great choice for vegetarians. "Cauvery", is a perfect combination of service, variety, freshness and price." The River Sides Spa is an inspired choice of venue for a meeting, conference, seminar or an occasion. It has a conference rooms as Durbar and private dining in different sizes and decorative styles, for 200 to 600 guest. The service begins from the moment you decide to stay. From a small, simple meeting to international conferences, our business team is on-hand to help plan everything down to the smallest detail. With the meeting and function areas at your disposal, you can be sure that every function held here would be truly unforgettable. Immerse yourself in a total spa experience. At Kasti, we focus on the rejuvenation and therefore you can enjoy the benefit even over a weekend. We help you to understand the purpose and undertake extensive massages and therapies that will make you feel good. Besides Ayurvedic treatments, resort also provides steam, sauna and outdoor swim pool. We confirm to the highest standards of Ayurvedic principles and treatments. Walk-in and pamper your body and mind to ease tension. For membership enquiry, kindly contact the resort manager.